Throughout the 20th century, the US ability to project power and dominate global geopolitics was, to a large extent, based on the general perception that the US was the most powerful military force in the world. 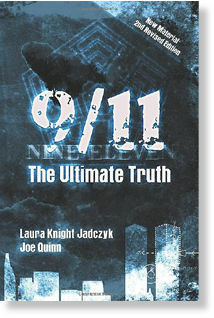 In most cases, the mere threat of this military prowess was enough to ‘get things done’ the American, or Western, way. The maintenance of the widespread belief in US military preeminence is therefore extremely important to the US establishment, and any event that might expose a different reality is to be avoided at all costs. When US/Western military might is physically demonstrated, a careful propaganda campaign and media management of the outcome is necessary, up to and including outright lies about the performance of the military tech used. No surprise there. In the first 1990 Gulf War, for example, the performance of US Patriot missiles in shooting down Iraqi Scud missiles fired at Israel, Saudi Arabia and Kuwait was lauded by Western powers and the media. A 95% success rate was claimed at the time, with then President George Bush claiming that the Patriot’s record was “near perfect”. Over the following year however, the US Army lowered this estimate to 79% over Saudi Arabian skies and 40% over Israel. A later report by the General Accounting Office concluded that Patriot missiles destroyed only 9% of the Scuds they attempted to engage. The Israeli Defense Force calculated the hit rate at just 2%. The point being, the US has a track record of lying about the effectiveness of its missiles. An important point that seems to have gotten lost in the media propaganda offensive is that only 3 locations were targeted and hit. Or, at least, that’s the official story. 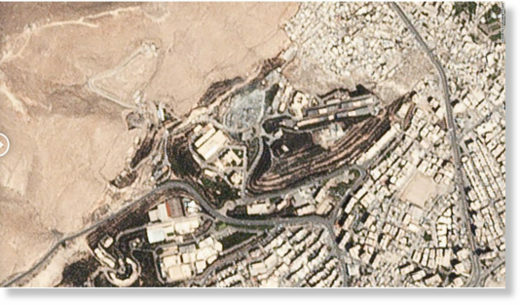 Lieutenant-General Kenneth F. McKenzie told reporters on Saturday that the prime target of the operation was the Barzeh Research and Development Center in the greater Damascus area. A total of 76 missiles, including 57 Tomahawk missiles, were fired at the facility, he said. He also said that 22 missiles were fired against a ‘chemical weapons storage facility’ near Homs, and some seven missiles at another ‘chemical weapons bunker’ in the same area. 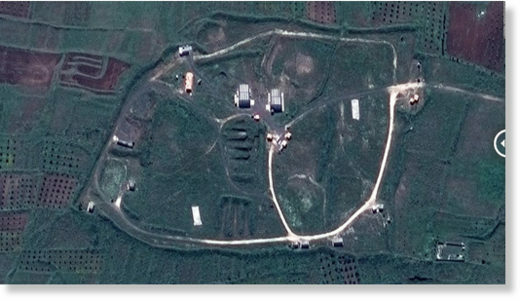 Chairman of the Joint Chiefs of Staff, General Joseph Dunford, confirmed that only those three targets were hit, including the Barzeh ‘scientific research centre’ in the greater Damascus area, which he claimed was used for research, development, production and testing of chemical weapons, a facility just west of Homs which the US claimed was a centre for sarin gas production, and a command post located near the first facility. 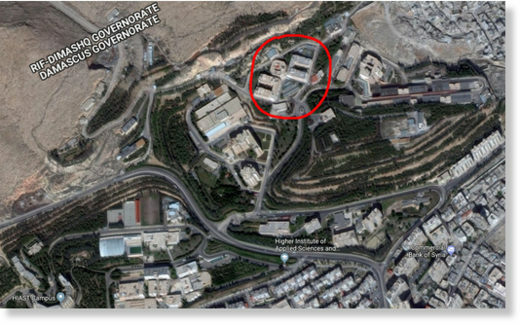 As part of their ‘reporting’ on the US government claim that this university housed a “chemical weapons facility”, the media reproduced satellite images showing the target area before and after the missile strike. 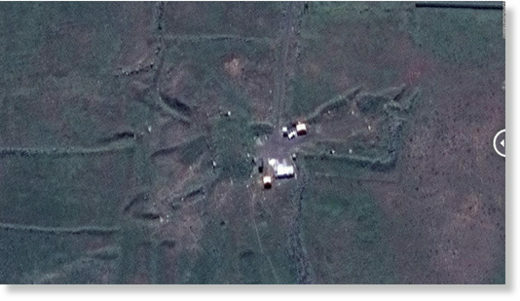 These images were provided to the media by the US government. Maybe grainy satellite images are preferred by the media because it affords a measure of mystique and distance between the reader and the reality of what they are looking at, but I can’t understand why Western media hacks didn’t just go to Google Maps and check the HIAST campus out themselves. 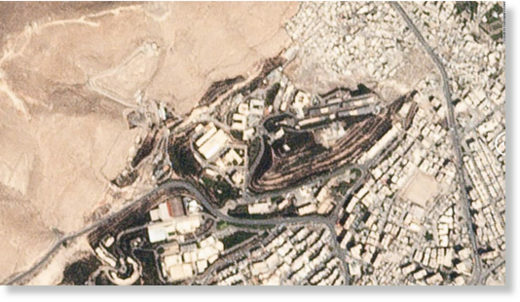 Below is an image of the general area of the HIAST campus from Google Maps, where you can see that it’s located on the outer edge of the Barzeh district of Damascus. 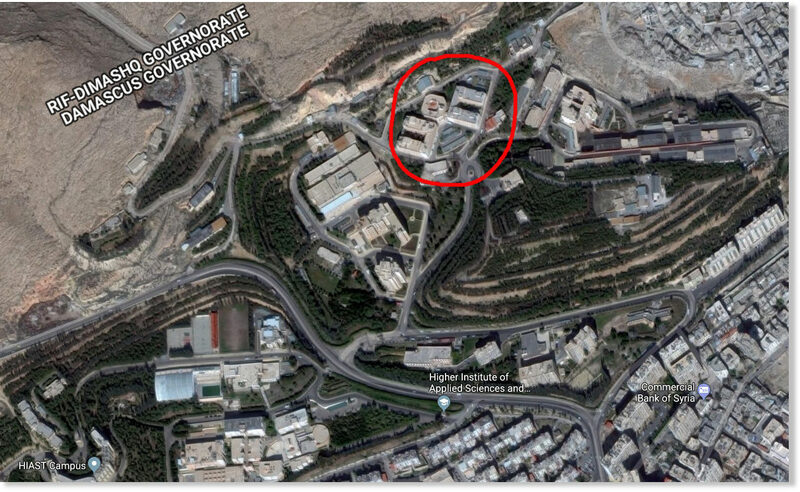 The “chemical weapons lab”, part of the campus that was targeted by US missiles, is circled in red. The UK’s Independent reported on the cruise missile strikes in general with the headline, “Images show buildings turned to ruin and rubble by Syria air strikes,” but then proceeded to show 13 images of the same demolished HIAST buildings in the Barzeh suburb of Damascus. 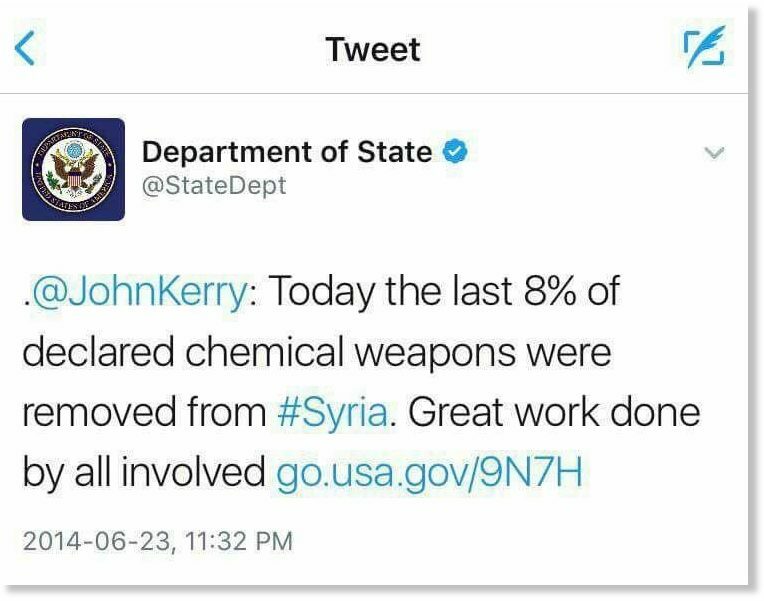 Is that perhaps because this is the only ‘impressive’ evidence they have for the dubious US government claims? 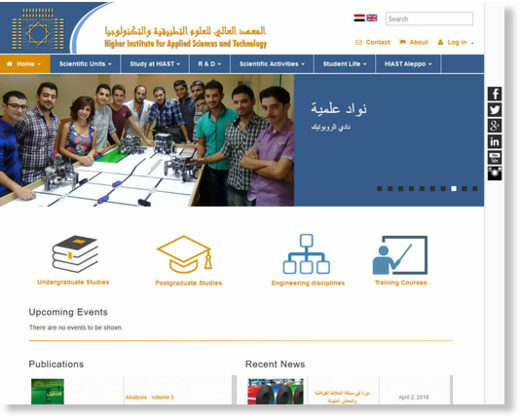 According to Saeed Saeed, head of the Institution for the Development of Pharmaceutical and Chemical Industries, the area of the HIAST campus that was bombed was previously used by the Organization for the Prohibition of Chemical Weapons (OPCW), but now works on pharmaceutical products. 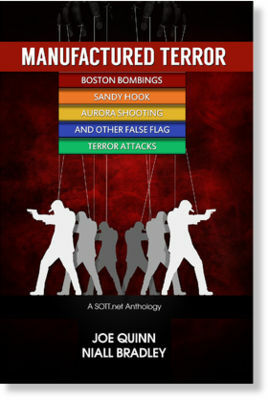 Hang on a minute… something’s coming back to me… 1998, Sudan, Bill Clinton… cruise missiles… pharmaceutical factory! 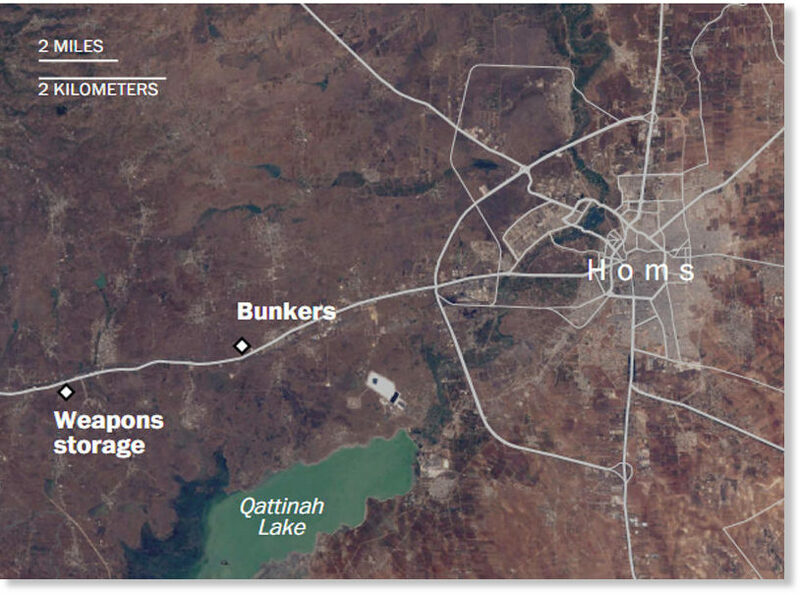 The two other areas allegedly targeted by US cruise missiles were to the west of Homs. 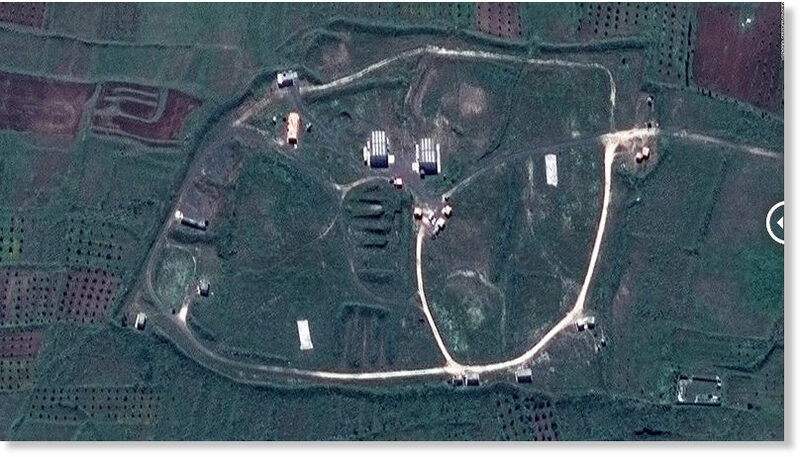 A “centre for sarin gas production” and a “command post” or a “bunker” (or something like that. It might have been a cow shed). Now that’s some nice shooting. 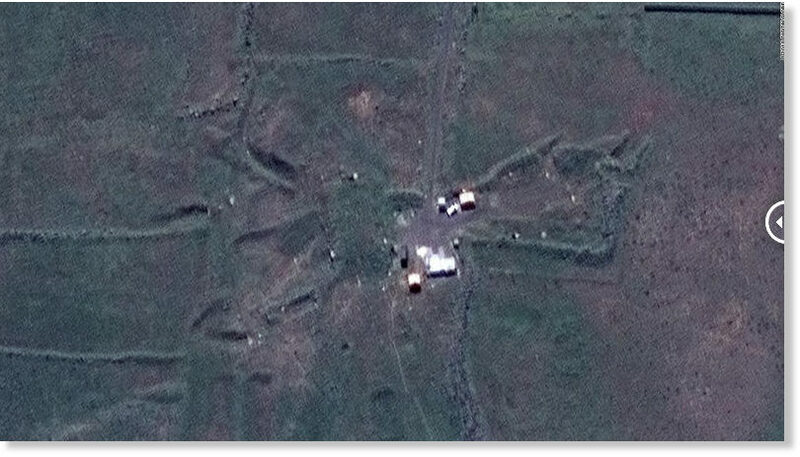 I count maybe 4 or 5 impacts (small craters) on the ground there, and those 3 little buildings gone. Not so good on this one. Looks like a single impact to the left of the target. The “chemical weapons command post bunker” thingy is, sadly, intact. So what’s our tally? 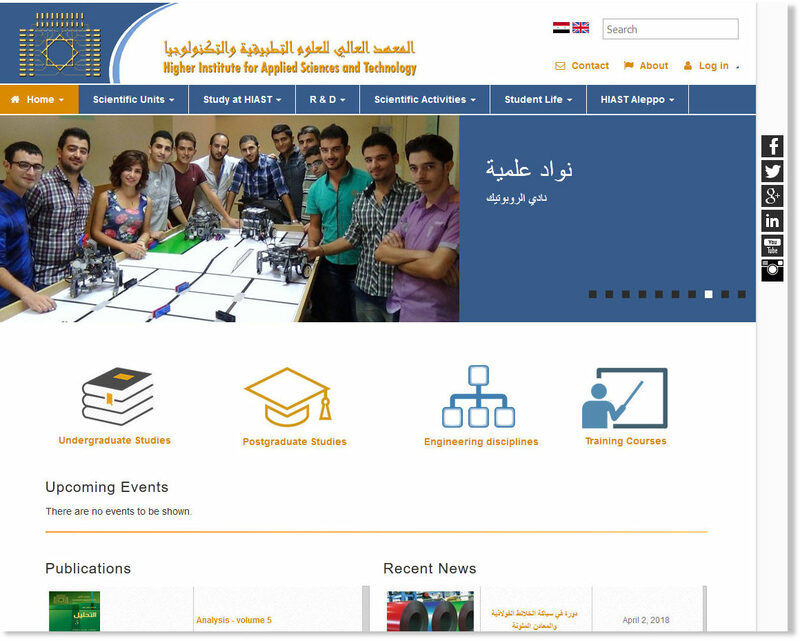 Let’s be generous and give 9 x 1000lb cruise missiles to the HIAST campus buildings. 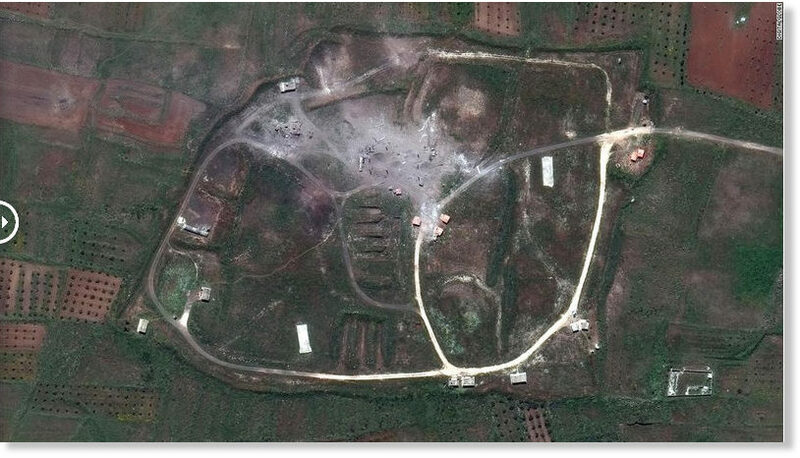 Let’s give 5 more to the “sarin gas production site” west of Homs, and 1 more to that little shed thingy above. 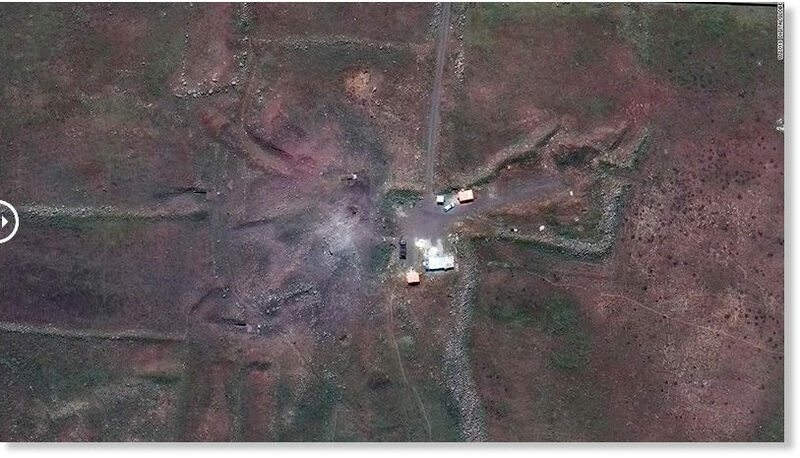 That’s 15 successful impacts in total, by the US government’s own statements and imagery on the 3 targeted sites. No damage is shown in the above video, but as a sign of good faith, we’ll assume that significant damage was done there too, somewhere off-camera. So let’s give 10 cruise missiles strikes to that airbase. That brings our tally up to 25. Heck, since I’m feeling generous today, I’ll throw in another 10 missiles that may have gone off course and hit some empty fields in the Homs or Damascus countryside. That’s 35 maximum impacts out of a total of 103 (or 105, or 118 depending on your sources). 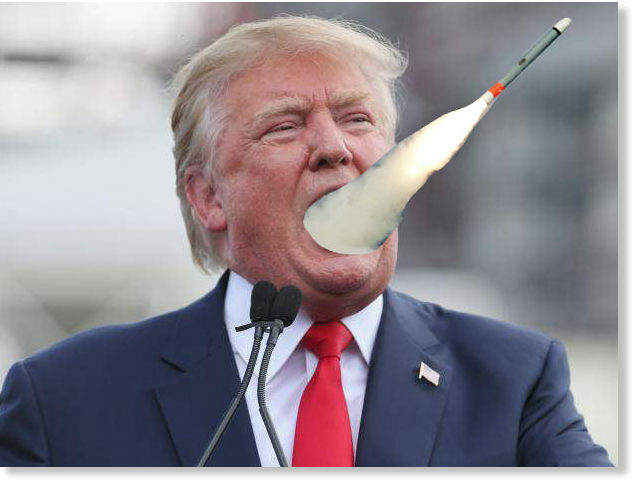 So the question is; what happened to the rest of Trump’s ‘nice new and smart’ missiles? The Russians have an answer. According to their radar data on the event, 6 other airbases and airports were also targeted. Why didn’t the Pentagon include those in its report on the strikes? Assuming this information is true, and we have good reason to believe it is based on my analysis above, we’re left to ponder the distinct possibility that the US government initially targeted at least 10 locations with cruise missiles. 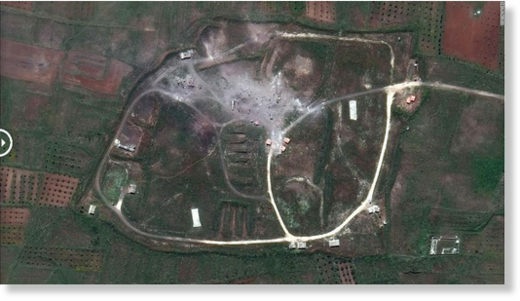 After the missiles were launched however, (some of them taking 2 hours to reach their destination) many of them were shot down, forcing the US to dramatically down-size its planned report to the media about how many locations were targeted. But this then posed another problem. How to distribute the 100+ missiles among only 3 locations? 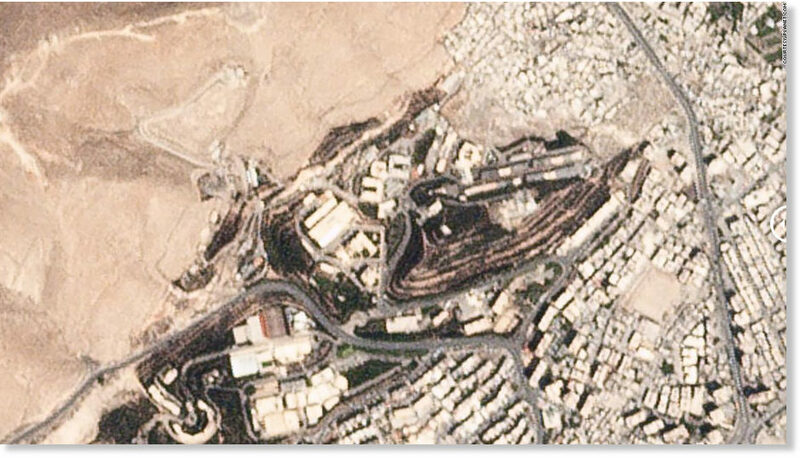 Should they divide them equally, 33 (or so) at the HIAST buildings and 33 each at the two Homs locations? But would the visible damage tally with the reported number of missiles? 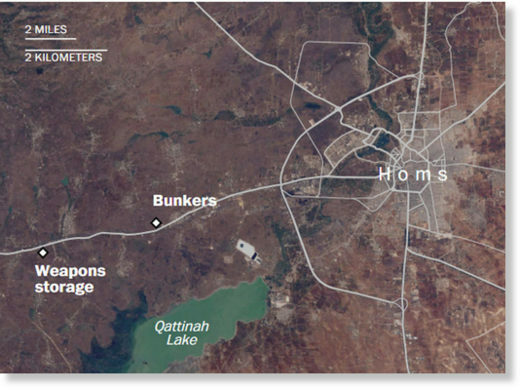 The two locations outside Homs were problematic because they were in open farmland and the buildings were far too small to plausibly cover up the missing impact craters. There was only one thing for it: the HIAST target, with its 3 sizable tower-blocks, would have to take the lion’s share of the missing missiles. The outrageous number of 76, to be exact. 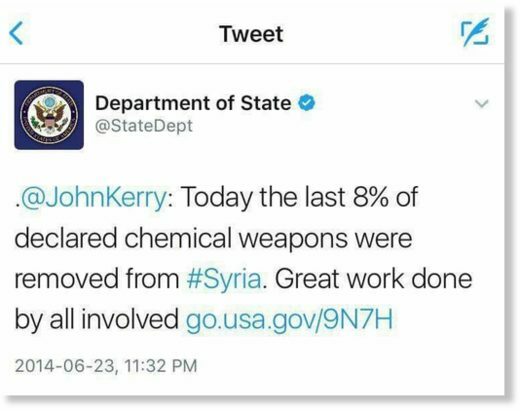 Maybe they also know that very few of their “nice new smart” missiles made it to their destinations. And maybe on Friday morning, “shock and awe” came, not to Syria, but the halls of the Pentagon. The conflict in Syria is but one part of a much broader geopolitical conflict between ‘East and West’ that portends nothing less than a radical restructuring of the global order. In that sense, it is an existential war for those that currently sit atop the pile and stand to lose their privileged and powerful positions. But if there’s one thing about any war that never changes, it’s the ‘racket’ aspect of it. To that end, there was only one real winner as a result of Friday morning’s events. If it had been publicly revealed how well the Tomahawks really did, the stock would have lost a similar amount.